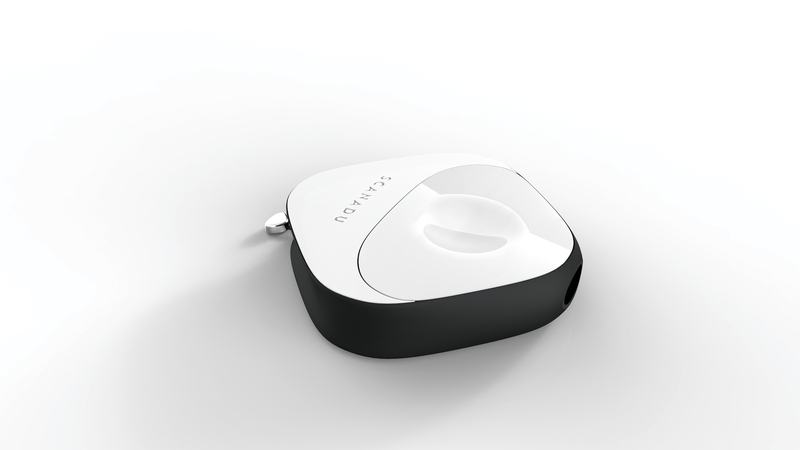 It was a year ago that Scanadu first came on the scene after raising some $2 million for a very interesting idea: Bringing the ability to monitor and track your body’s vital signs to a portable and inexpensive device that connects to your smartphone. The idea is that Scanadu will let you own and control your own health data in the same way that you monitor other aspects of your life — to “check your body as often as you check your email,” so to speak. Today, Scanadu is announcing that it is a few big steps closer to making that goal a reality, giving a few more details on the first three products it expects to formally start selling within the next year. These tools are: Scanadu SCOUT, which monitors vital health signs such as heart rate and blood pressure, Project ScanaFlu, an automatic saliva testing device that scans for afflictions such as Strep Throat, and Project ScanaFlo, a urine testing device that looks at things such as dehydration and pregnancy. It was a pleasure to have Scanadu’s co-founder and CEO Walter de Brouwer stop by TechCrunch TV to give us some first hand details of what Scanadu is doing and show off the SCOUT in particular. On a business level, Scanadu has grown at a solid pace to have some 20 staff working at its headquarters in Silicon Valley. The prototypes and concepts are interesting, but truly hard part is still to come — Scanadu will have to make sure that its products pass FDA inspections and can secure funding necessary to go to large-scale production. It’s certainly an ambitious mission, but there’s no question that the company’s vision is pretty compelling. Watch the video above to see the Scanadu SCOUT and hear more from de Brouwer about the company’s background and plans for the future.